The C4 corvette offered by hot wheels is an interesting one since its modeled off a car that wasn’t fully seen yet. 82 had a oval air cleaner cover while the 84 had a more square boxy design. Basically the Hot wheels 80's Corvette is auctuaily a “prototype” 83 corvette that never was. It was copyrighted in 82 meaning Mattel was shown the body but not the engine so they assumed it was not going to change. 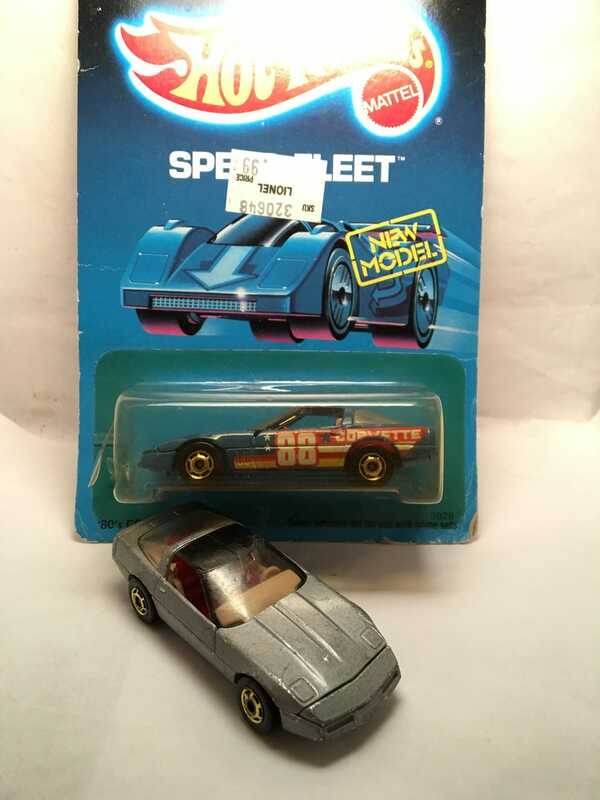 Of course this isn’t the first time hot wheels had a corvette early even back in 1968 the corvette used was a new 69 that most people hadn’t seen yet or able to buy the 1:1 model. This car was almost lost in February 12, 2014 when a sink hole opened up under the sky dome. It was sitting only a few feet away from the hole and had it kept growing it could have been lost forever.